Hello Sunshine! I have days when all I need to make myself pretty is a natural color boost. You know, sometimes it can be tiring or tedious to have to worry about lining the eyes evenly/perfectly; and just the same, too tedious to have to decide what color of lipstick to wear! For those type of days, I reach for my Burt's Bees stash. I love Burt's Bees. I have long been using their makeup (mostly tinted lip balms) and skincare (mostly face care). So today, let me share with you two lip items that I reach out for when I'm not feeling more like my Filipina beauty blogger self--but more like an "I'm young, wild, and free" me! First off, I don't like lip glosses. I don't like how they normally feel warm against the lips--like cling wrap--that's how I would describe the feeling. I don't like how glosses "attract" hair--I mean, the hassle of having your hair stick to your lips while you're talking! Lastly, I don't like how they feel sticky (not MOMOL-friendly, yes?) But, all that doesn't apply with Burt's Bees Lip Shine. I usually stay away tube glosses because I find them the stickiest. However, Burt's Bees version of a tube gloss is entirely different. It feels nourishing, tastes sweet (but subtle sweetness only--like nectarine); and most importantly, it feels comfortable to wear. In fact, I love the Burt's Bees Lip Shine line so much, I actually re-apply this lip gloss when I do take mine for a spin. 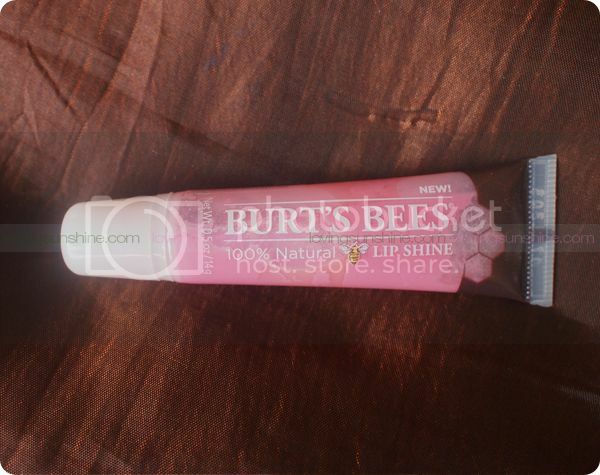 Here's Burt's Bees Lip Shine Wink 030* when worn. It's very natural and uplifting. But okay--I don't normally have "lip gloss" days so I'm going to get real with you and share with you my more common pick-me-upper lippie when I'm feeling lazy. It's the Burt's Bees Tinted Lip Balm. I have two of this magical creation: the Red Dahlia and the Pink Blossom. Today, I'll share with you Pink Blossom because as of lately, it's what I use when I feel like going au naturale. 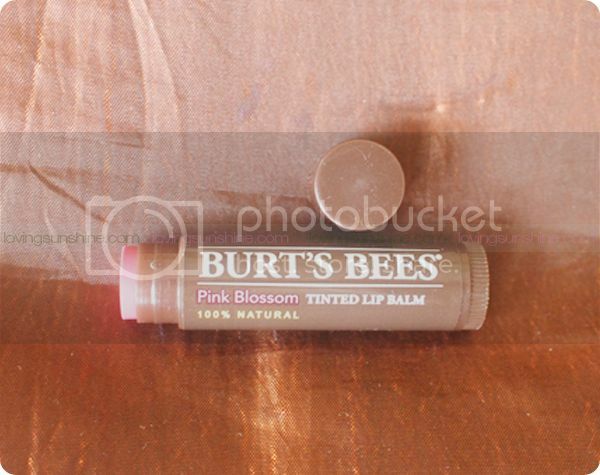 Burt's Bees Tinted Lip Balm is pretty amazing with its 100% natural formulation. I guess, that's what I love about Burt's Bees. They really stick to the basics and the goodness of what nature can offer. Nature knows best in beauty, that kind of philosophy. And me, I am in complete agreement. I love using natural products that are really natural. With Burt's Bees, I know I'm not compromising myself. Their tinted lip balms come in this cute tube case that I just throw away (sorry Uncle Burt!) Anyway, I am very careful when storing my lip balms even when on-the-go so I don't have to worry about losing the caps of my favorite beauty products. So, here's Pink Blossom when worn. Be ready to get smitten. It's a very natural pink boost for the lips. It lets your natural lip color show--but better. 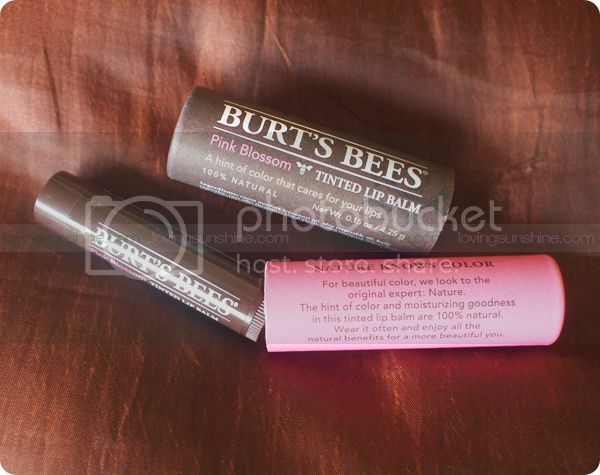 I love it because no one can guess that I'm wearing makeup when using my Burt's Bees Tinted Lip Balm in Pink Blossom*. And isn't that really the goal of makeup--to not look like it's there? How about you? What's your lazy day lippie? Learn more about Burt's Bees on this post.